Houghton Mifflin Harcourt recently launched, Science Fusion, a fully digital educational curriculum for grades K through 8. In order to draw attention to just how advanced this educational program is, it was imperative that the marketing vehicle complement the spirit of technological advancement the program was founded on. Once Houghton Mifflin’s agency, Ogilvy North Carolina, heard about the futuristic theme, they immediately turned to Americhip. 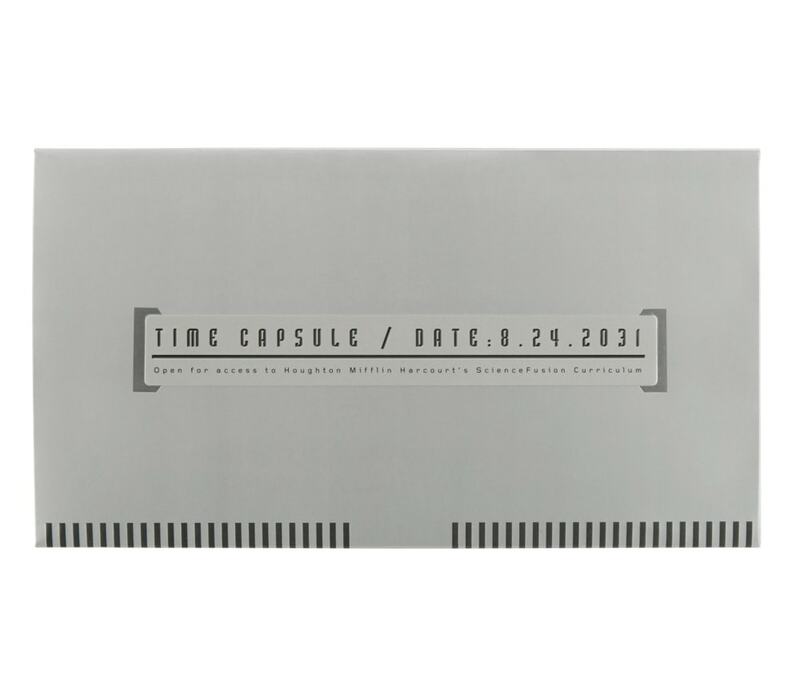 The idea of a time capsule sent back in time from the year 2031 was made into a reality. 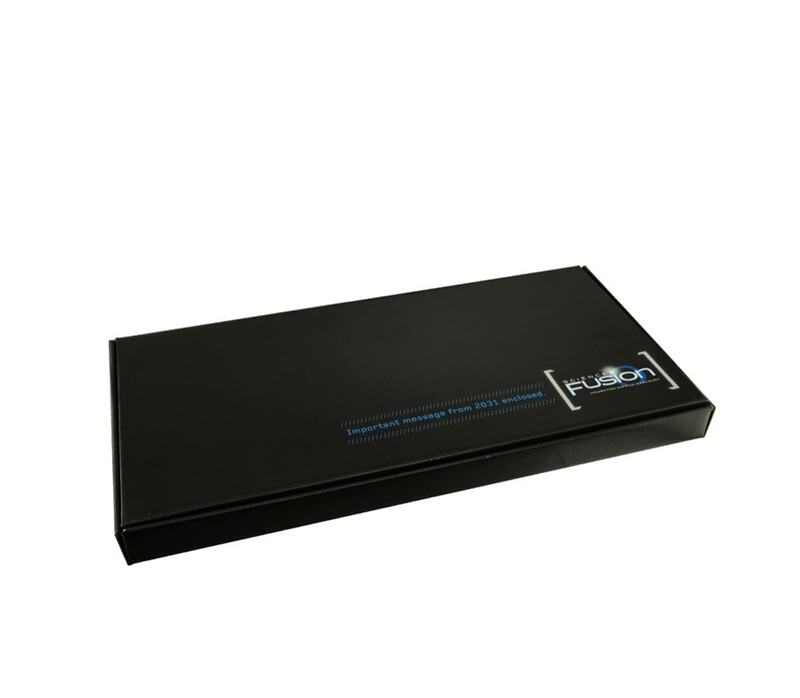 This two piece press kit incorporates a sleek silver ‘time capsule’ nestled inside an equally sleek black box. 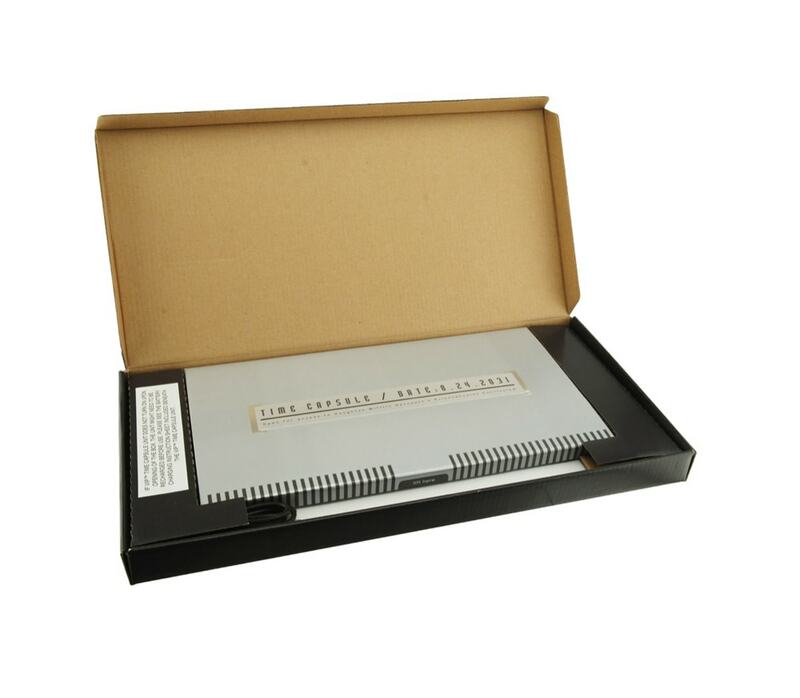 The time capsule naturally incorporates a 2.4” LCD screen embedded directly in the packaging itself. 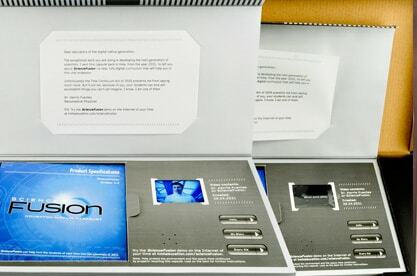 Upon opening the capsule, a short video featuring Dr. Fuentas, a renowned scientist and former student of Science Fusion, automatically plays. Recipients are invited to learn even more about the educational curriculum through removable brochures conveniently located in the capsule. 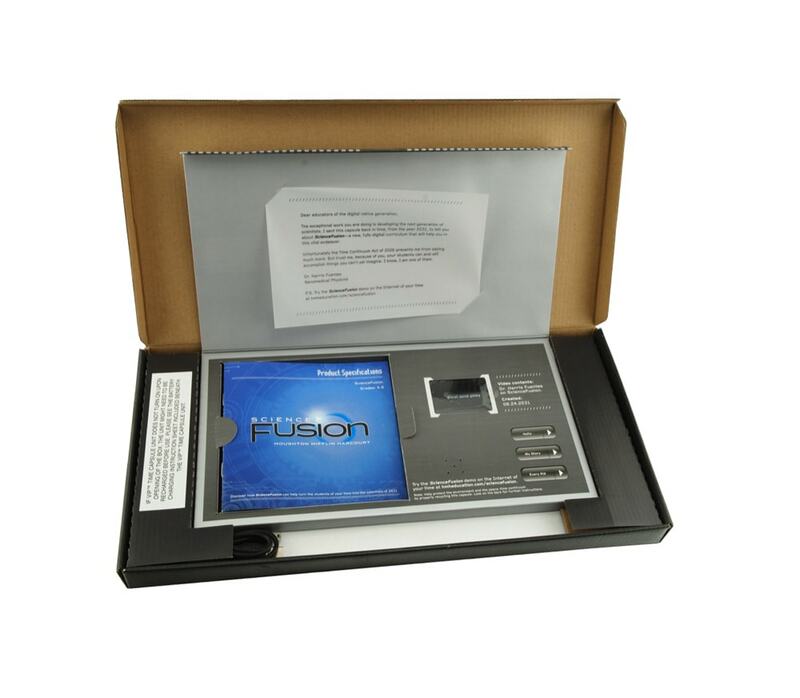 Both the videos and corresponding brochures underscore Science Fusion's advanced technology and benefits for teaching students who are soon to be leaders of future generations. 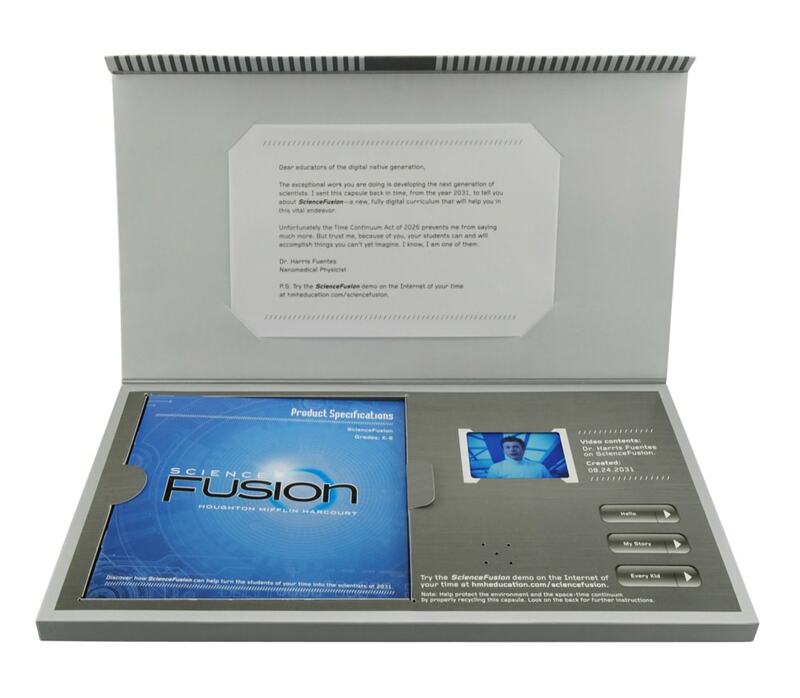 With Americhip’s help, Houghton Mifflin was successfully able to deliver a marketing tool that matched the uniqueness and technological advancement that Science Fusion represents. Recipients not only watched the video multiple times, but showed the time capsule to colleagues and friends. Houghton Mifflin also saw a spike in traffic on the Science Fusion website, proving that viewers were intrigued and wanted to learn more.